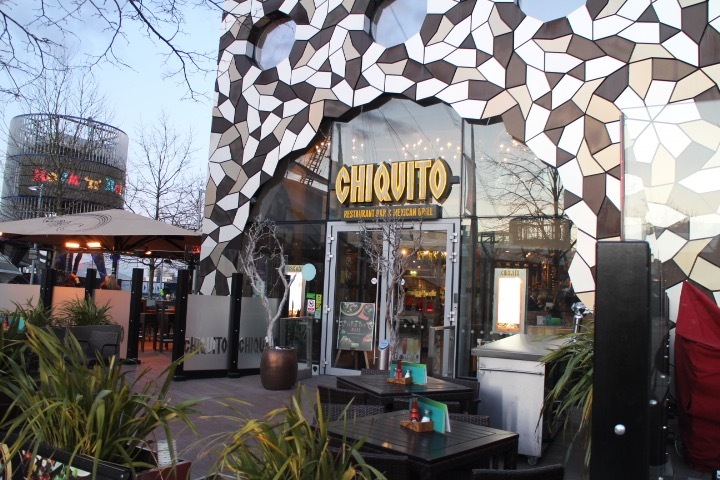 I was given a £60 voucher to try out the new street food on Chiquito menu. This time, I wanted to try the local branch at the O2 in Greenwich. I booked a table for a Sunday evening with a party of four. 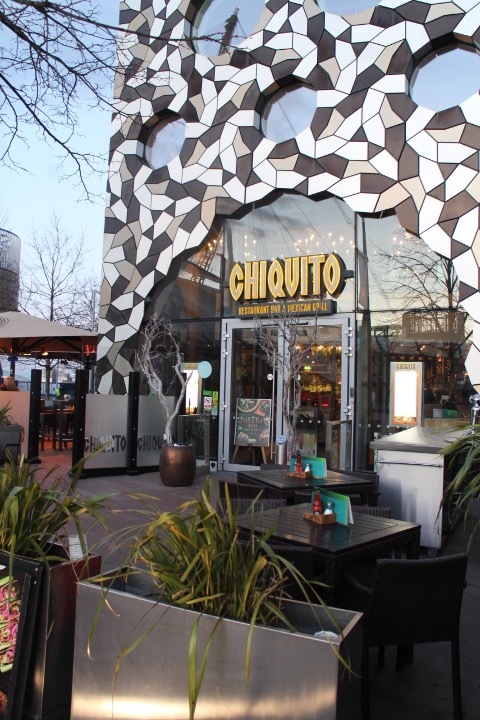 The Chiquito is just outside by the O2, with it’s shiny exterior, which you can tell that the place was a new, build. Initial thoughts on the interior bright colourful and inviting navigating past the bar we sat at a table near the open kitchen. 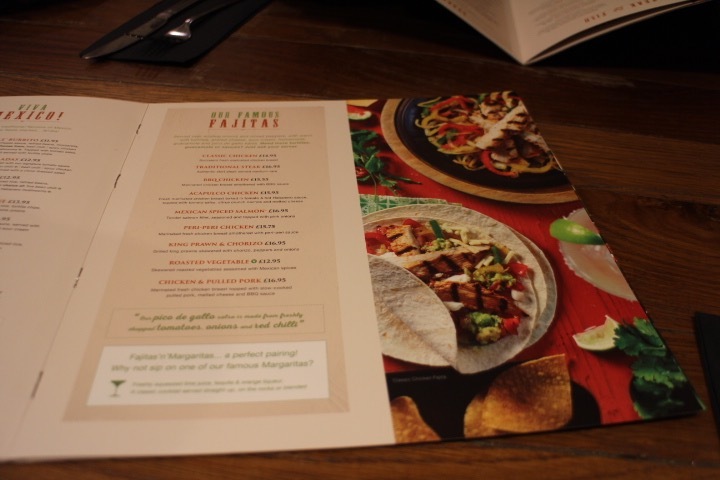 The waiter was friendly and left us the menus; Chiquito is a tex mex Mexican chain with restaurants across the UK. It was a given to order 6 items from the street food selection. It’s a great bargain for £23.95 to sample a mixture of food. 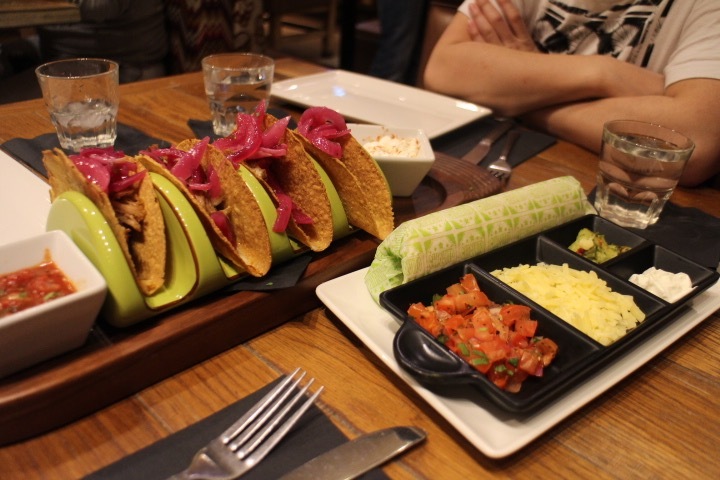 Other dishes we ordered, Chiquito famous fajita the chicken and pulled pork version some crispy tacos, and Mexican paella. 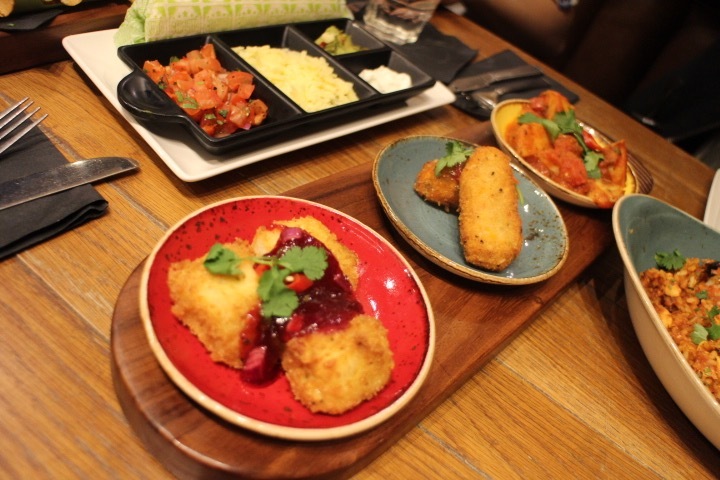 The street food is presented on a wooden board with 3 colourful plates filling one board. The favourites from the street food had to be the mighty beef meatballs covered in tomato and habanero sauce. Halloumi bites, this one seemed a little cold inside but still was tasty. Patatas bravas addictive little pan-fried potatoes with the same sauce as the meatballs I loved. 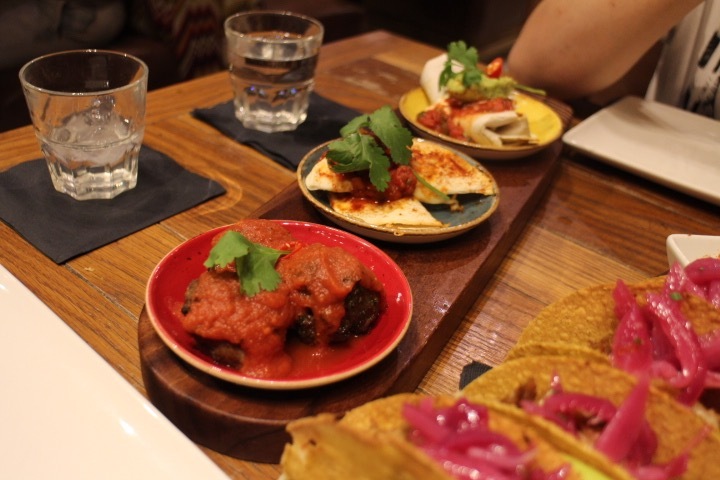 The mini chicken burrito seemed a lot blander than the time I had this same dish at the Leicester branch. 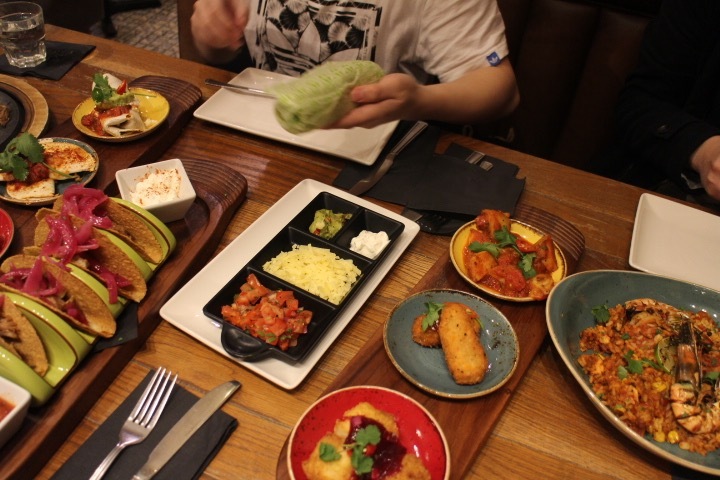 The Quesadillas bites seemed to have more sweetcorn then chicken, the folded miniature tortillas had a nice crunch. 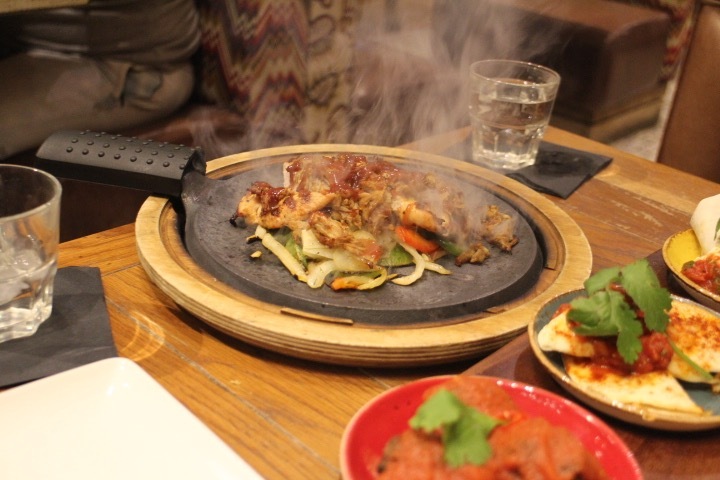 Moving on to the fajitas served sizzling on a hot plate, there’s no stopping the meat from being overcooked becoming a bit dry. There wasn’t enough meat and filling for the soft tortillas but one fajita fills you up. 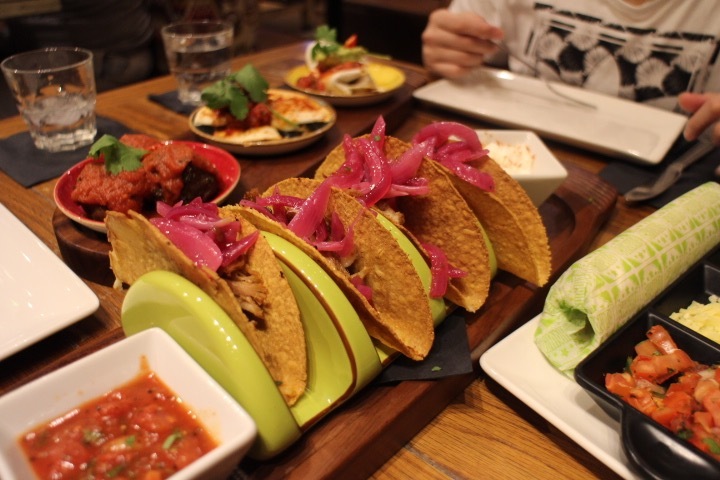 The tacos are served with four crispy tacos separated on rack; the pulled pork in this dish had more flavoured than the fajita and the sweet pink onions complemented well. The last dish we tried was Mexican paella, the one pan was shared between the four of us, filled with mix seafood, small chicken breast pieces, chorizo and one shelled prawn.